Remove all the red pieces and keep the equilibrium. That is it! 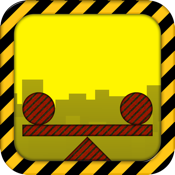 You will have a lot of fun playing the 40 levels of this game. More levels are coming in next updates!